Do you have mold on your bean plants? There are a few common bean plant diseases that may result in a white mold on bean plants. Don’t despair. Read on to learn what to do about moldy bean plants. Help, There is White Mold on My Bean Plants! Gray or white mold on beans is an indicator of either a fungus or bacterial infection. Powdery or downy mildew (usually found only on lima beans) is caused by fungal spores that germinate on dry foliage when the humidity is high. 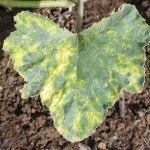 Especially common in the late summer and fall, these mildew diseases do not usually kill the plants, but it does stress them, potentially resulting in a lesser crop yield. 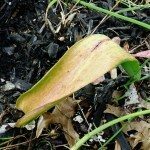 To mitigate the possibility of either powdery or downy mildew, avoid water stress, prune out any infected leaves and pods, and keep the garden free of plant detritus. Also, be sure to rotate the bean crop each year. 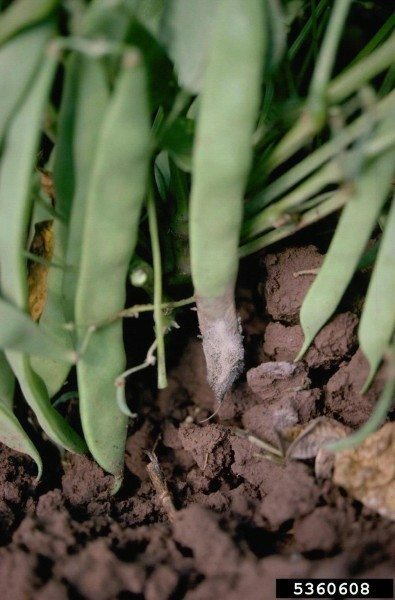 Mold on bean foliage, stems or pods accompanied by successive rotting is an indicator of mycelium, another fungus abundant in warm weather. This fungi, however, enjoys the accompaniment of water sodden leaves. To avoid this fungal disease, rotate crops, again, remove plant debris, keep the surrounding area free of weeds and increase the space between bean plants to increase air circulation. Another common bean plant disease is bacterial wilt, which clots up the plant’s circulatory system. This disease is spread by cucumber beetles in moist conditions. Signs of bacterial wilt are leaf droop at onset, followed by the wilting of the entire plant. The presence of the disease can be concretely diagnosed by cutting a stem near the crown and observing the sap; it will be milky colored, sticky and viscous. Once the plant is infected, there is no way of stopping the disease. Remove and destroy infected plants the moment you recognize the symptoms. Lastly, Sclerotinia sclerotiorum may be the culprit for moldy bean plants. White mold usually begins as wilting of the plants after blossoming. Soon, lesions develop on the infected leaves, stems, branches and pods, ultimately becoming covered by a white fungal growth. White mold is prolific in conditions of high humidity accompanied by wet plant foliage and soil, usually at the end of the growing season. 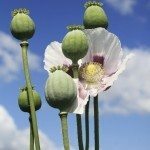 As with the above diseases, remove any infected parts of the plant or the entire plant if it appears to be severely infected. Water sparingly, enough to keep the plant from being stressed but allowing the soil to dry between watering. Space bean rows farther apart to allow for air circulation, practice crop rotation and, as always, keep rows free of weeds and detritus. Fungal applications may assist with control of white mold on beans. Follow manufacturer’s instructions for timing, rates and method of application.